Paying tributes to martyrs, Chief Minister Parkash Singh Badal dedicated the Wada Ghallughara Kup Rohira Memorial to humanity at an impressive ceremony held here today and announced the decision to construct similar memorials to revive the sequence of events related to the freedom movement. 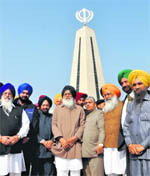 The proposed memorial would be constructed at a cost of Rs 300-Rs 400 crore in the Doaba region. The memorial inaugurated today comprises a 110-ft tall tower and as many as six buildings spread over 10.7 acres of land. It has been constructed at a cost of Rs 20 crore in the memory of 35,000 Sikhs who were massacred by Ahmed Shah Abdali, the Pathan invader, on February 5, 1762. It was probably the first time that a majority of the speakers refrained from giving a political tinge to their speeches but appreciated role of the Chief Minister in reviving the cultural heritage and Sikh history through memorials. 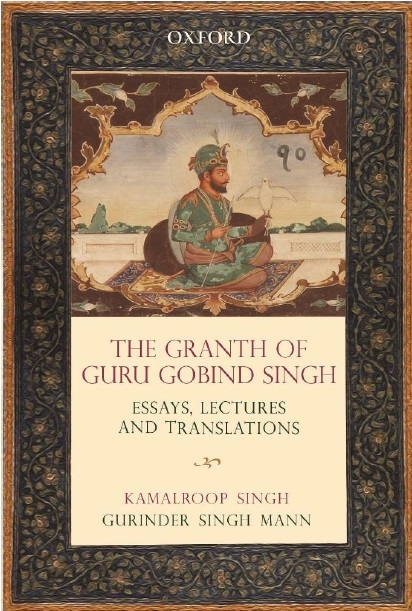 Admitting that the memorials should have been constructed long ago, Badal regretted that only a fraction of Punjabis knew facts related to the Wada Ghallughara till now. Rebutting allegations that his party had tried to harness political mileage by constructing and inaugurating a chain of memorials recently, Badal maintained that the government had kept nationalism above politics during these functions.